Book return trip and get 5% discount! What time would you like to be picked up? What time is your flight arrival? What time would you like to be picked up? What time is your flight departure? Courmayeur is a legendary climbing and ski resort, that has both natural charm and atmosphere by the boatload. Unequivocally unspoilt and traditional, Courmayeur is the kind of authentic mountain town that feels a world away from the typical modern tourist trap. Given its small size and relatively compact collection of amenities, Courmayeur tends to be more of a weekend destination than a base for a longer ski trip. However, just as soon as you’ve sampled the local culture, cuisines and cosiness of it all for yourself, we guarantee Courmayeur is one Aosta Valley gem you might never want to leave! Located just below the end of the Mont Blanc tunnel on the Italian side, it’s ease of access that has made Courmayeur such a popular place for quick hops and short breaks. Plus, it’s also a great place to start from if planning to explore the Aosta Valley in a little more detail. As for the Italians, they descend on Courmayeur in generous throngs throughout the season from Friday to Sunday. However, you’ll be surprised how many of them don’t seem to be bothered about the slopes. For many visitors, Courmayeur is a place to see and be seen. There’s an incredible café and dining culture in particular attracting stylish Italians like moths to flames. Unthinkable when there’s such spectacular skiing on Courmayeur’s doorstep? Perhaps, but what this translates to is minimal lift queues and pristine conditions on the slopes, even when Courmayeur feels and is as busy as it gets! The train line that once ran right by Courmayeur closed in 2016 due to lack of demand and high upkeep costs. If you plan to travel to Courmayeur by train, you’ll need to make Aosta station your transfer point. From here, it’s pretty easy to get anywhere in the Aosta Valley by way of a shared or private transfer service. How Much Will My Transfer Cost? All of the above will only ever result in our base-rate for ski transfers going down – we never over-inflate our prices at any time or for any reason. We also offer substantial discounts for off-peak, off-season and midweek transfers to Courmayeur. If looking for the best possible deals, travelling outside peak season or midweek typically results in the biggest savings. We offer midweek (Monday to Friday) prices with up to 60% discount than weekend prices. Your transfer quote will also depend on vehicle availability, transfer schedule, vehicle utilisation and other costs like road tolls and airport parking charges. If you have any specific requirements or plan to travel as part of a larger group, please get in touch directly so we can discuss your needs. Given that Courmayeur forms part of the wider Aosta Valley Ski Area, you’ll benefit from a full 180 pistes totalling more than 350km right there on your doorstep. Beginners and intermediates are of course catered for, though the majority of runs are more advanced reds and blacks. 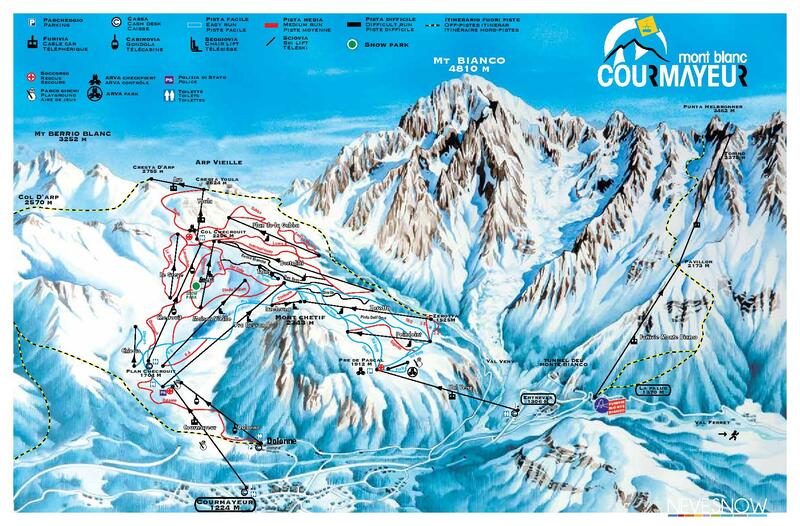 At the time of writing, there are two ski schools serving Courmayeur and both have immaculate reputations. Offering classes for kids and adults, covering skiing and boarding alike, you’ll be in safe hands from start to finish. As a quiet, cosy and wonderfully safe resort, Courmayeur as a whole makes a great choice for families with kids of all ages. The most amazing trips to Courmayeur begin with high-quality resorts transfers you can rely on. There may be hundreds of options to choose from, but we guarantee you won’t find a better deal than Alps 2 Alps can offer! Give us a try for yourself and you’ll see why our customers keep coming back. As always, the best advice if looking to score the best deals on peak services is to book as far in advance and possible. However, we also promise the same value for money and total customer service package, even if you come to us at the very last minute. We know what it takes to make the trip of a lifetime to Courmayeur even better – travel with Alps 2 Alps and start the enjoyment the moment you step on board! Join MY AMITOURS loyalty program!